- Process: top process CPU with UsageMonitor. - SWAP: free SWAP. Mouse over for more information (total/used/free SWAP). 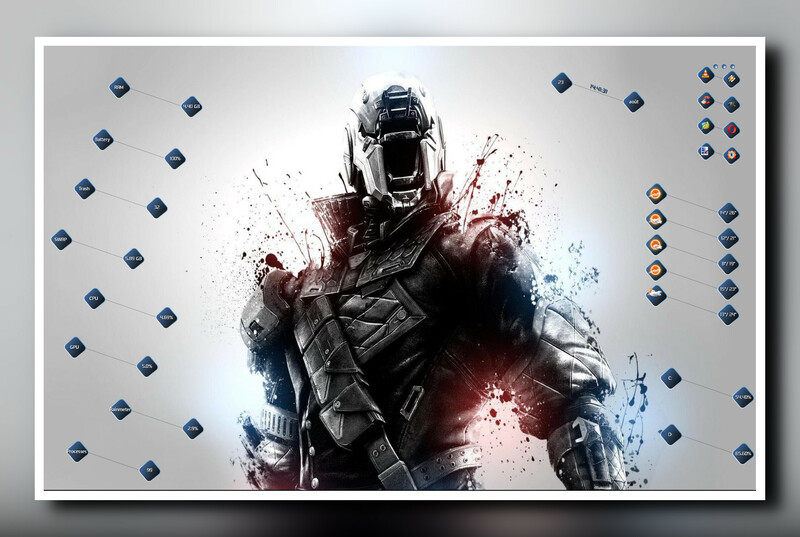 Wallpaper "Destiny Soldier". Original author unknown.